Yes, Comment Mail currently supports MailChimp. 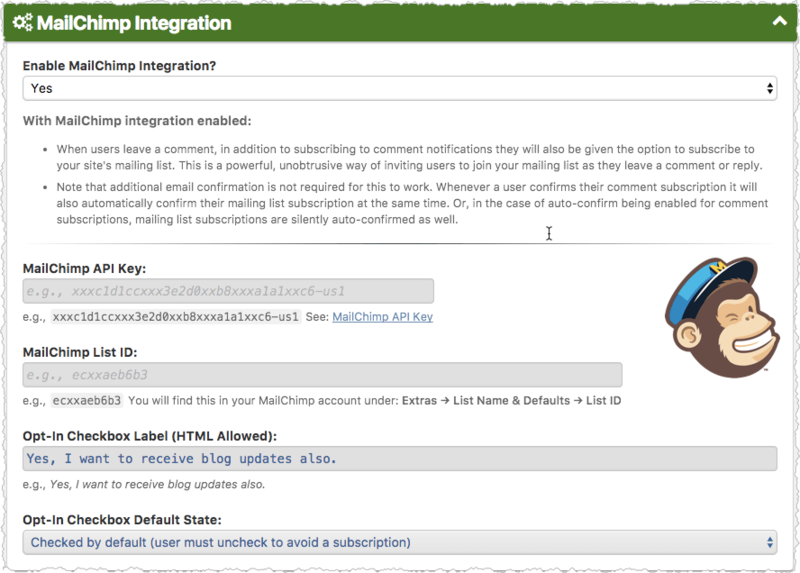 With MailChimp integrated, when users leave a comment, in addition to subscribing to comment notifications they will also be given the option to subscribe to your site's mailing list. This is a powerful, unobtrusive way of inviting users to join your mailing list as they leave a comment or reply.